NEC MultiSync EA244WMi monitor in a sleek black design disposes of a high-IPS display technology with a modern and economically efficient LED backlight. It offers an excellent display of all colours, including subtle transitions. It has a flexible stand with pivot function, which fulfils any wish. There is also a very low power consumption and high HD resolution of 1920 x 1200 points, which is particularly suitable for watching films and multimedia content. It provides wide viewing angles, full horizontal and vertical 178 degrees. 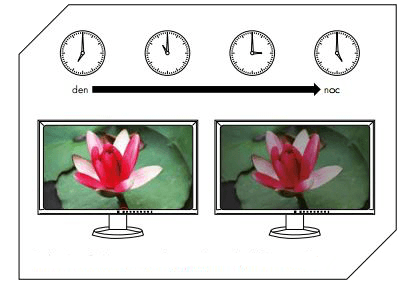 Moreover, it has a decent response, enabling the use of this model in gaming or watching fast dynamic scenes. Whichever transmission interface you choose, the monitor will be ready. It offers DisplayPort, DVI, HDMI, VGA, side USB connectors and a headphone output. 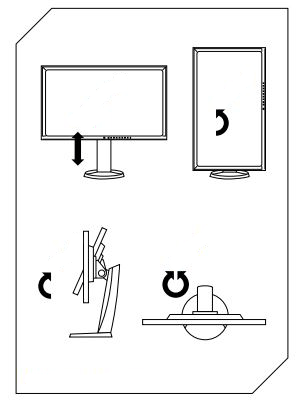 Built-in speakers convey decent audio performance with an output of 2 x 1 W.
The monitor is packed with modern technology and, at the same time, it saves energy, because of the ambient light sensor, which automatically adjusts the display brightness and contrast. The human sensor responds to the user's absence and it immediately switches to a standby mode. Once the user sits back down in front of the monitor, the normal operating mode is activated again. Excellent image parameters, but also extremely flexible ergonomics, are necessary for every hard-working person. NEC therefore offers height adjustability, tilting, sideway turning and pivot by 90 degrees. And work or watching a film will be comfortable even during prolonged use thanks to these features. Modern design with an unusually narrow margins saves a lot of space on the table, leaving your workplace looking fresh and compact. 1920 × 1200 px Done! HDMI 1.4 and older	, D-SUB (VGA), DVI, DisplayPort Done! USB 2.0, Headphone output, Audio analog input Done! Speakers, USB Hub, Pivot, Adjustable height, VESA compatible Done! DisplayPort cable, Power cable Done! For shipping to other EU countries visit this page NEC MultiSync 24" LED EA244WMi (black). Für Versand nach Deutschland, besuchen Sie bitte 24" NEC MultiSync LED EA244WMi schwarz. Chcete doručit zboží do Česka? 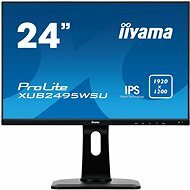 Prohlédněte si 24" NEC MultiSync LED EA244WMi černý. Chcete doručiť tovar na Slovensko? Prezrite si 24" NEC MultiSync LED EA244WMi čierny. Für Versand nach Österreich, besuchen Sie bitte 24" NEC MultiSync LED EA244WMi schwarz. 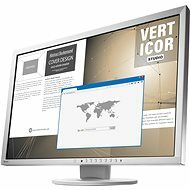 Magyarországra történő kiszállításért tekintse meg ezt a termékoldalt: 24" NEC MultiSync LED EA244WMi fekete.